For regular readers of TLE you’ll know how much I love an annual snow holiday to Megeve. This year we decided to not spend every waking hour on the slopes and enjoy a little bit of well deserved R&R in a luxury hotel spa. Our spa of choice was at the four star The Hotel Lodge Park, the spa is usually reserved for hotel guests only but I was lucky enough to enjoy the facilities as a non-guest and I must say it was a thoroughly indulgent experience. 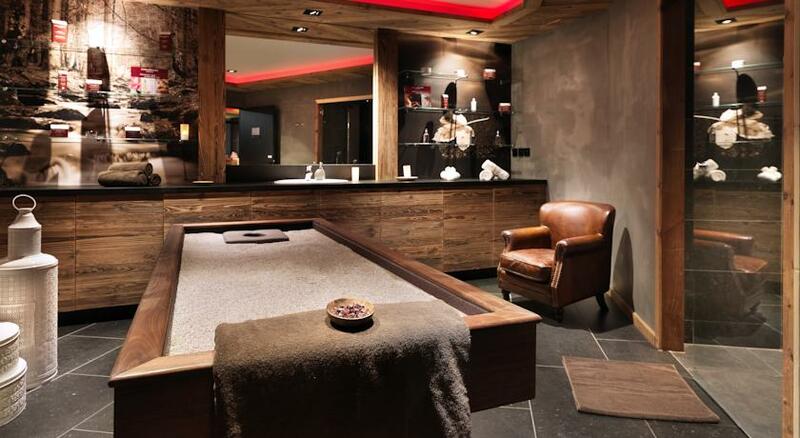 Read on to discover more about this and the other centrally located luxury spas in Megeve. 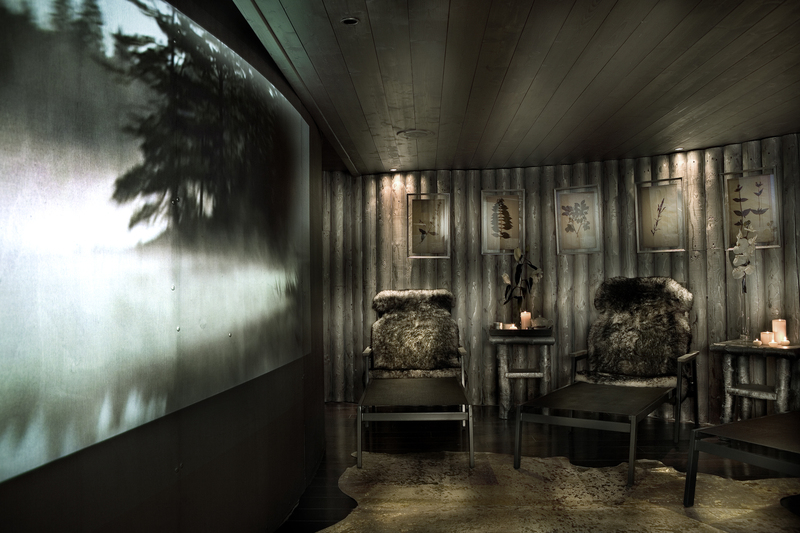 The Pure Altitude Spa here is a combination of Nordic meets nature. The elegant curves, cedar wood and clever use of water ripples to create ambient lighting in the pool area creates the perfect environment in which to completely unwind and detach yourself from everything else. A sauna for two and the amazing liquorice herbal tea were just two highlights of our visit. 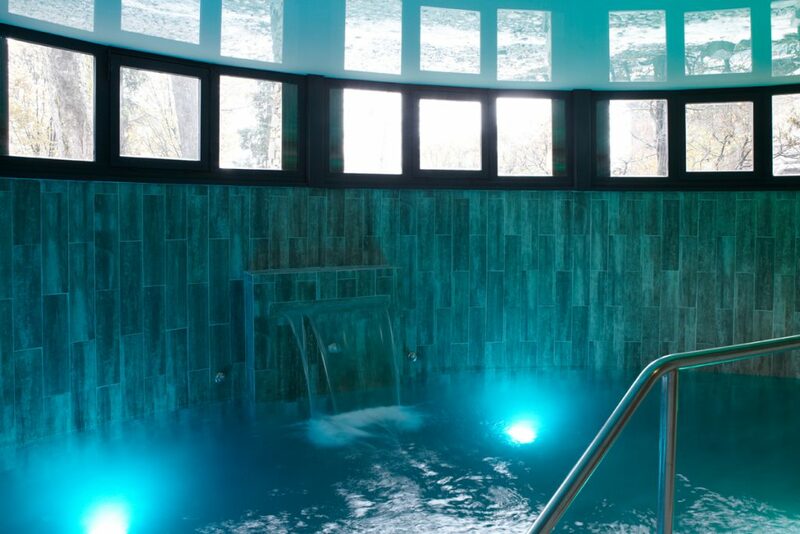 A great selection of spa treatments and a spa day package that includes access to the fitness suit and lunch at the Beef Lodge Restaurant is also available. 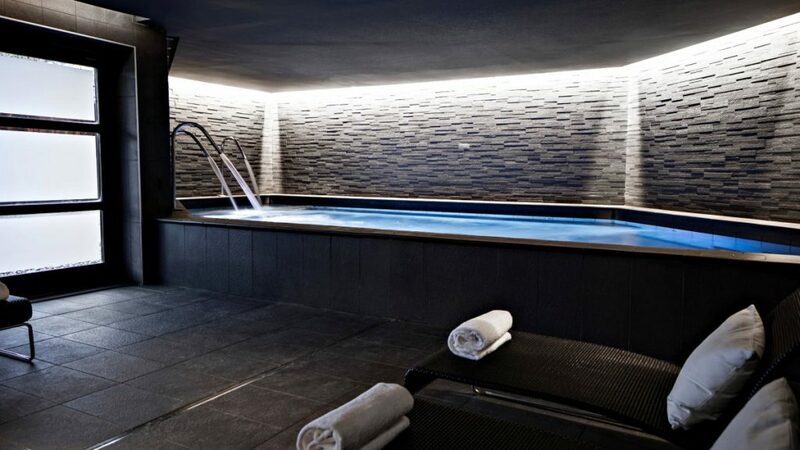 Located slightly further afield from the town centre than the other hotel spas detailed here the décor of wood, stone, water and plants perfectly convey alpine luxury. There are 17 treatment rooms with a great selection of Pure Altitude massages, facials, body wraps and relaxation facilities. The spa here is located right at the heart of the hotel yet is still a haven of pure relaxation. 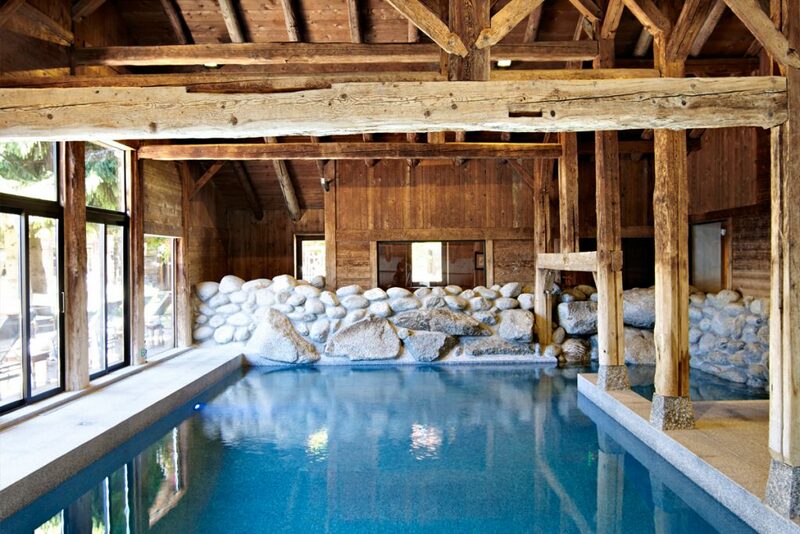 The Spa boasts a pool with counter current swimming facilities, a sauna and a steam room carved out of the rock. The treatment rooms include one duo and one with a hot sand alpha quartz massage table – there are four treatment rooms in total. Cinq Mondes is the product range of choice here and was selected for its natural health benefits and properties. The spa here is inspired by traditional Asian methods professionally combined with high-tech products made in Switzerland. The dark stone setting makes for an altogether sleek surrounding but one that epitomises relaxation and luxury. Facilities include: fitness studio, fun pool with fountains and massage jets, hammam, Swedish bath and outdoor sauna boasting spectacular views of Mont Blanc. 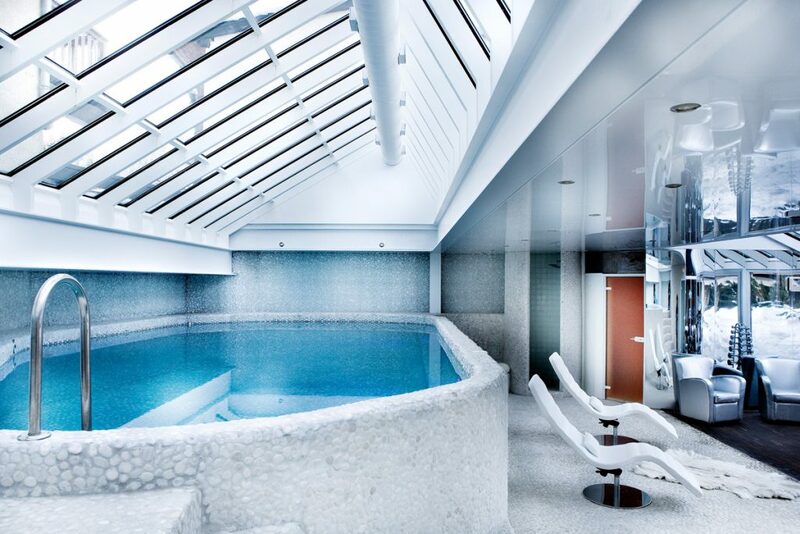 The Spa at Hotel Mont Blanc epitomises a place of pure relaxation that every Maisons & Hotels Sibuet has to offer. Designed with glacier style theme; the hot and cold contrasts help create a polar atmosphere and the igloo style cabins and clever use of mirrors further enhance this unique setting. Facilities include; indoor swimming pool, Jacuzzi, sauna and fitness area and a great selection of treatments, massages and day spa wellness offers.